Enter server details to establish connection. 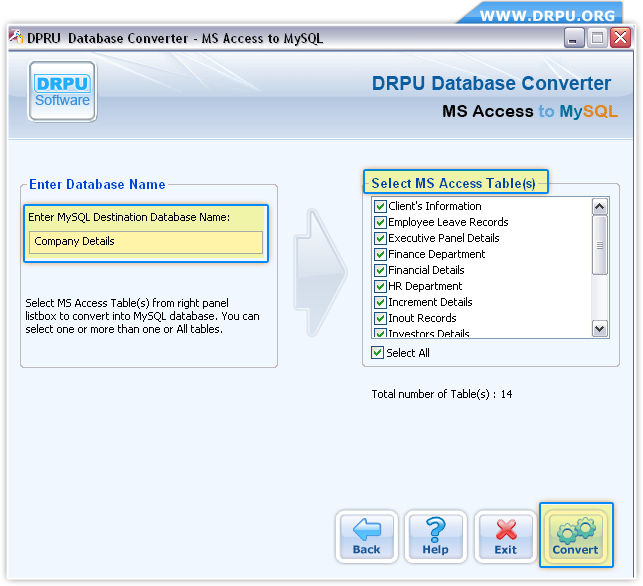 Select MS Access tables from right panel list box to convert into MySQL database format. 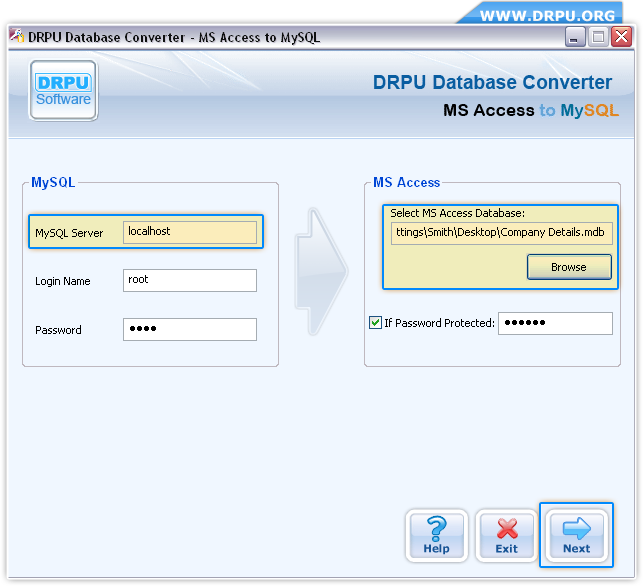 Screenshots shows progress bar of database conversion process.